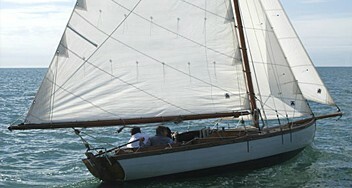 Asymmetric spinnakers trim differently to conventional spinnakers. 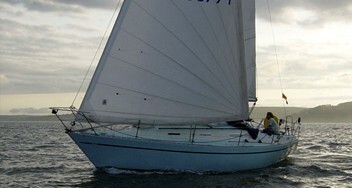 The asymmetric has three controls of shape: sheet, halyard and tack line. The basic principles apply: The halyard should always be fully hoisted. Ease the sheet until the luff curls and then trim accordingly. 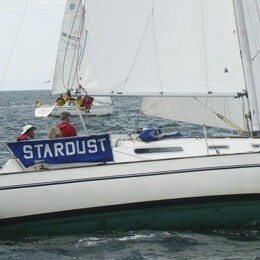 With greater acceleration, the apparent wind angle is changing all the time so that aggressive trimming is required as the boat speed builds and an equally aggressive ease is needed to prevent a stall as the boat slows. Over-trimming is very slow! 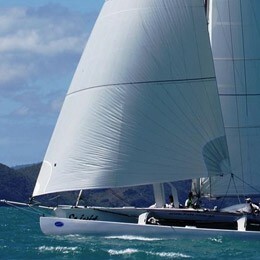 On a close reach using telltales can help with accurate trimming – the luff of the sail should only just curl. On a broader reach, ease the sheet out to achieve a bigger luff curl. You will be surprised how far out it can go! 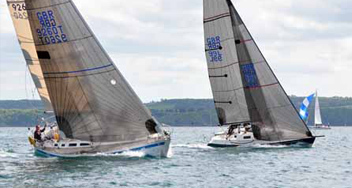 As the course opens up from a close reach to broad reach, the tack line should be eased. 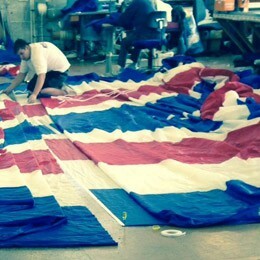 On a close reach the tack should be snug to the pole and as low as possible, putting the luff of the sail into a flatter shape. On a broader reach add power and allow rotation out from behind the main by easing the tack line. Easing the tack line adds power but reduces pointing ability. When broad reaching in a big blow, you may not want to ease the tack line as far as you would in lighter air. 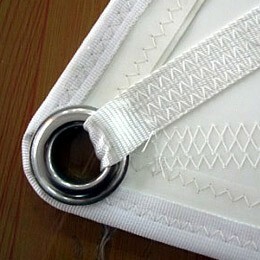 If your sail does not already have them, we recommend fitting telltales 1.5 to 2 ft from the luff at 1/3 and 2/3 height. If the top telltale shows the windward side lifting you need to tension the tack line, and when the lower tell tale shows the leeward side stalling you should ease the tack line. When your tackline is set at the proper height the telltales should behave similarly high and low.